The Royal Choral Society performs "The Shepherds' Farewell" by Hector Berlioz at the Royal Albert Hall. The Royal Choral Society began its illustrious life as the Royal Albert Hall Choral Society – formed for the opening of the Royal Albert Hall in 1871. Its inaugural concert was held at the Royal Albert Hall on 8th May 1872. The choir’s name was shortened to The Royal Choral Society (with permission from Queen Victoria) shortly afterwards. This piece is from "L'enfance du Christ" (The Childhood of Christ), Opus 25, an oratorio by the French composer Hector Berlioz, based on the Holy Family's flight into Egypt (see Matthew 2:13). 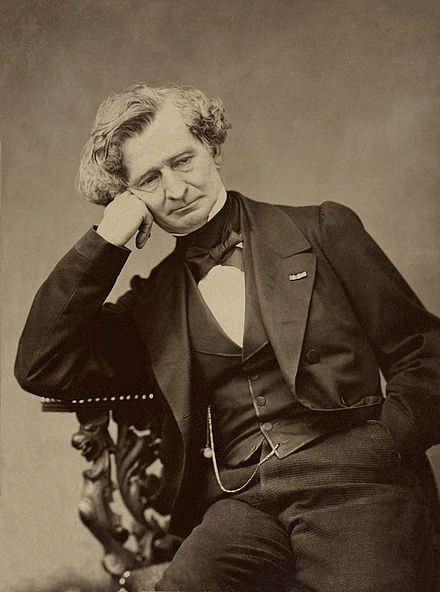 Louis-Hector Berlioz (1803 – 1869) was a French Romantic composer. The elder son of a provincial doctor, Berlioz was expected to follow his father into medicine, and he attended a Parisian medical college before defying his family by taking up music as a profession. His independence of mind and refusal to follow traditional rules and formulas put him at odds with the conservative musical establishment of Paris. The idea for "L'enfance" went back to 1850 when Berlioz composed an organ piece for his friend Joseph-Louis Duc, called L'adieu des bergers (The Shepherds' Farewell). He soon turned it into a choral movement for the shepherds saying goodbye to the baby Jesus as He leaves Bethlehem for Egypt. Berlioz had the chorus performed as a hoax on 12 November 1850, passing it off as the work of an imaginary 17th-century composer "Ducré". He was gratified to discover many people who hated his music were taken in and praised it, one lady even going so far as to say, "Berlioz would never be able to write a tune as simple and charming as this little piece by old Ducré". You can watch the entire "L'enfance" here. The humble crib, the stable bare. Content our earthly lot to share. Shelter Thee with tender care! With humble love and holy fear. Forget not us who linger here! Ever to Thy heart be dear! Thou happy father, mother mild! The Prince of Peace, The Holy Child! Guide you safely through the wild!